We’re pleased to announce that Readysell 8.51 (codename Nabberu) is rolling out to all of our Readysell 8 customers. In this release we’ve put a big focus on improving the Readysell’s third party integration offerings and fulfilling customer requests from the Readysell Forum. We encourage you to take some time to review these release notes to understand how you can make use of them. StarShipIT allows you to simplify and automate the process of fulfilling orders. Readysell’s new StarShipIT integration will allow you to fill in consignment details (including number of packages, weight) and have this automatically sent to StarShipIT, who will handle the automated printing of labels and communication with your carrier. Readysell’s loyalty points implementation has been improved to play better with the Office Brands U-Rewards program. 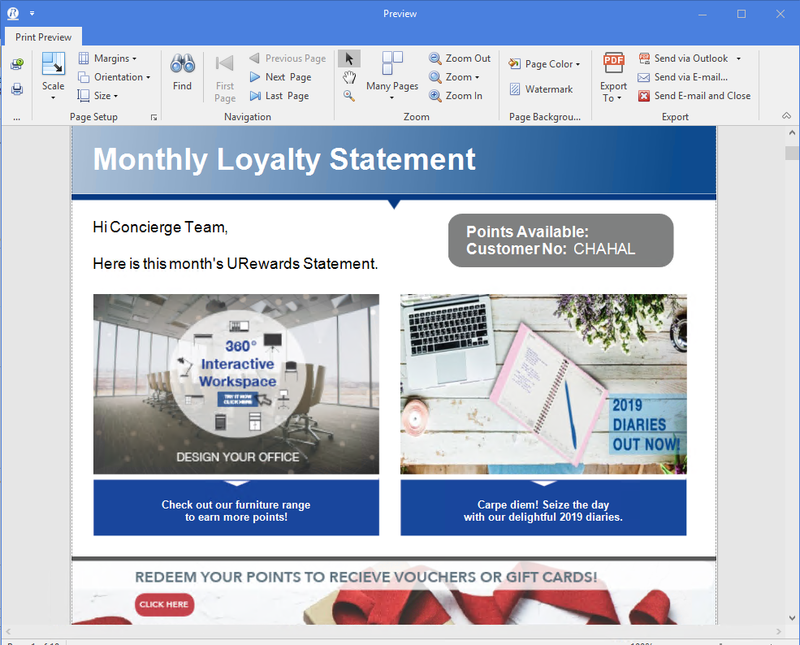 We will automatically expire unused points after a period of time (12 months by default), we’ve implemented some great looking new loyalty statements, and we’ve created a new type of email batch that will allow you to easily send these statements to customers periodically. Readysell already allows you to attach files to many records. You can even set up Readysell to automatically import attachments based on the file name. To make things easier still, we’ve enabled drag and drop functionality for attaching files. Just grab the file you want to attach, and drag it onto the record you wish to attach it to. Done!